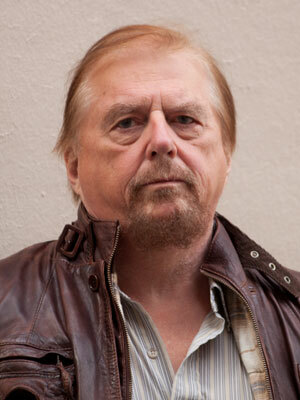 Gwynne Dyer will deliver the annual Dominick S. Graham Memorial Lecture, “Don’t Panic – But You Can Worry a Little”, on Feb. 11 at 7 p.m. in the J. Kent Auditorium at the Wu Conference Centre on UNB’s Fredericton campus. Born in Newfoundland, Dyer received degrees from Canadian, American and British universities, finishing with a PhD in Military and Middle Eastern History from the University of London. He served in three navies and held academic appointments at the Royal Military Academy Sandhurst and Oxford University before launching his twice-weekly column on international affairs. Dyer's books include Ignorant Armies: Sliding into War in Iraq (2003), Future: Tense (2005) and The Mess They Made: The Middle East After Iraq (2007), all of which reached number one or two on the Globe and Mail's non-fiction best-seller list. His more recent work, Climate Wars, deals with the geopolitical implications of large-scale climate change and has been translated into French, German, Russian, Italian, Spanish, Arabic, Chinese, Japanese, Korean and a number of other languages. Random House published Canada in the Great Power Game, 1914-2014 to coincide with the centenary of the outbreak of the First World War. His new book, Don’t Panic: Islamic State, Terrorism and the Middle East, has just been published by Random House. “Frederictonians will have a chance to hear him at UNB for the Graham Lecture on Feb. 11 as part of his Canadian tour in support of his new book on ISIS, terrorism and the Middle East situation,” Dr. MacLean said. The annual Graham Lecture in War and Society was inaugurated in 2000 in honour of Professor Dominick S. Graham. After serving with distinction in the British Army in the Second World War, Graham came to UNB in the 1960s during which time he completed his PhD and became an assistant professor with the history department. His focus soon shifted to war and society issues. In 1971 Dr. Graham established the military and strategic studies program and in 1980 was one of the founding members of UNB’s Centre for Conflict Studies.